GERARDUS “GERRY” SCHALK passed peacefully into glory on November 5, 2018. He was the beloved husband of Jenny (Westra) who preceded him on December 14, 2010. He was loved by his children Peter (Trudy), Stan (Crystal), Larry (Jeanette) and Patricia (Leo Ludwig); 15 grandchildren and 25 great-grandchildren; his siblings Corrie van Steensel, Mary Miedema, Arie (Dienie), Peter (Henny), Joe (Shirley), John (Leny), sister-in-law Florence, as well as numerous nieces, nephews and extended family. He was predeceased by his infant son, Richard, brother Casey, and brothers-in-law John and Bill. 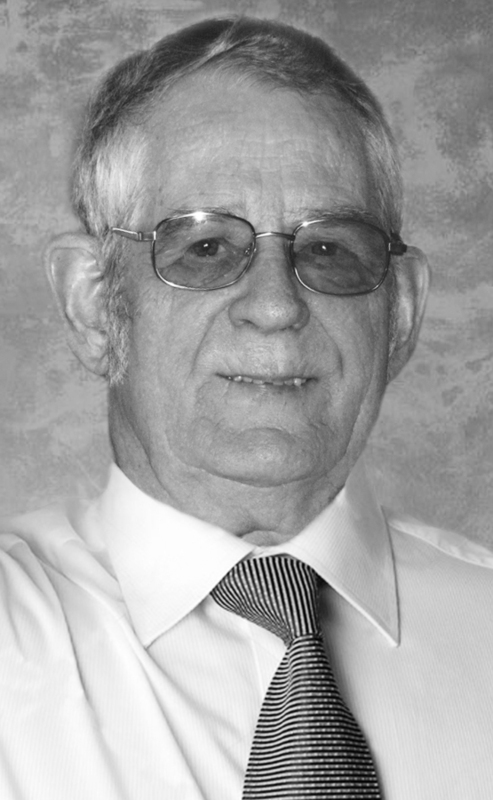 Gerry was born on June 27, 1933 in The Haarlemmermeer, Holland and immigrated to Lethbridge with his family in 1951. Married on April 12, 1955, Gerry and Jenny celebrated 55 years together. He moved his young family to Cranbrook, BC in 1966 and owned and operated Kootenay Wholesale Ltd for 30 years. Known for his friendly, hospitable nature and deep faith in his Lord and Saviour Jesus Christ, Gerry was actively involved in the Knox Presbyterian Church for 50 years, and worked with refugees and Friendship Ministries. A life-long student of the Bible, he was an inspiration and example for all who knew him. In 2016 he moved to Elim Village in Lethbridge. A Visitation will be held at CORNERSTONE FUNERAL HOME – 2800 Mayor Magrath Drive South, Lethbridge, AB. on Thursday, November 8th, 2018 from 7:00 P.M. – 8:30 P.M.
A Memorial Service will be held at WESTMINSTER CHAPEL PRESBYTERIAN CHURCH, 329 – 19th Street North, Lethbridge, AB, T1H 3K3, on Friday, November 9, 2018 at 2:00 P.M. with Rev. Ian Crooks officiating. In lieu of flowers, donations may be made in Gerry’s name to the Westminster Chapel Presbyterian Church.